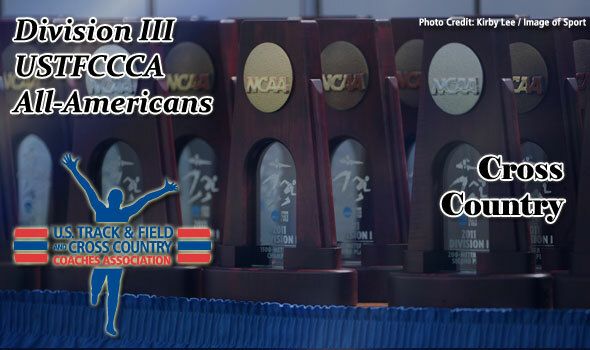 NEW ORLEANS – The U.S. Track & Field and Cross Country Coaches Association (USTFCCCA) announced on Monday the 70 student-athletes that received All-America honors for the 2011 NCAA Division III Cross Country season. Overall finish at the NCAA Championships is the determining factor as the top 35 individuals from both men’s and women’s races earn All-America plaudits from the USTFCCCA. While the men of North Central (Ill.) won their 14th overall NCAA team title on Saturday, national runner-up Haverford and fifth-place UW-Oshkosh led the country with three student-athletes earning All-America honors. North Central, along with Washington (Mo. ), St. Lawrence, Calvin, and SUNY Geneseo, each had two athletes garner All-America plaudits. The NESCAC and UAA led all conferences with five men’s athletes taking All-America honors. The NCAC, Centennial Conference, and WIAC each had four. On the women’s side, national champion Washington (Mo.) had four athletes garner All-America honors as Erica Jackey, Lucy Cheadle, Sarah Fisher, and Molly Wawrzyniak each placed in the championship’s top 25 overall. Middlebury, Williams, and Johns Hopkins each have two on the All-America honor roll. The UAA has the most women’s athletes among conferences listed as All-Americans with six. The NESCAC (5), IIAC (3), and Centennial Conference (3) followed.